Facing the objections of a stubborn mother, star-crossed lovers Hassan and Lai Lai struggle to come to terms with the difficulties of separation in a time of a new multicultural Malaya. Believed to be one of the earliest Malayan film featuring an interracial romance between the Malay and Chinese communities,Selamat Tinggal Kekasehku was deemed controversial for its time for being culturally and religiously insensitive. 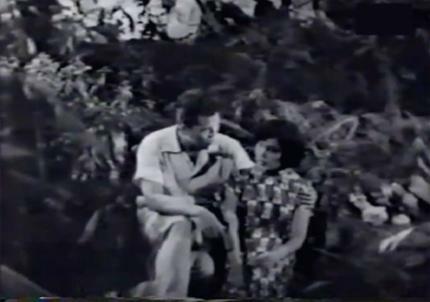 Film Still: Selamat Tinggal Kekasehku, 1955. Image Courtesy of Toh Hun Ping.